I was talking to a friend the other day about viruses. They are interesting little buggers - so hardy and well designed. I was wondering though, why viruses are ONLY bad. Why is it that we never hear about a virus that has raged through some population, leaving all of its victims tall and skinny? Or one that has infected a LOT of people with smartness, or hilariousness or clear skin? Why is there no giggling virus? You'd think out of the BILLIONS of viruses floating around us all the time, that just ONE of them would accomplish its goals while making its victim taller and skinnier and gigglier. Anyway, should someone you know be infected with the tall skinny virus, you probably would NOT want to send them my card today, because they would probably NOT want to get well, ever. I made this for part of a blog hop with My Sweet Petunia and Chameleon Pens. Now I only had this Get Well Soup stamp in wood, and it made me mad, because I couldn't stamp it twice with the MISTI, so I ended up doing a "spot gloss" on the heart and the spoon, which you will see in the video. But SINCE I bought this stamp, I've bought several wood stamps that I have converted for the MISTI. Just don't mount them onto the woodblock, and get yourself a few sheets of this cling film. I use the SU sticker to cut the film in the right shape, then pull the release paper off the stamp - plop the film onto the sticky cling mount, and BOOM - you have a cling stamp. 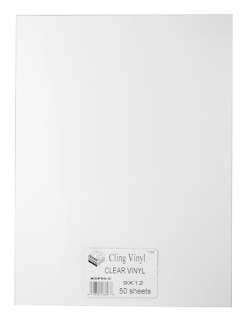 No need to mess with changing out the sticky foam for cling foam - the cling vinyl sticks great. And then you won't be sad that you can't stamp your cup twice :). So here's my video - check it out and then come back to hear about the giveaways! Okay - so both My Sweet Petunia and Chameleon are having giveaways! Over the next three Fridays, there will be posts on the Chameleon blog and on designers blogs, and you'll have the chance to win a MISTI (your choice of a mini or an original) and a pen set like the ones I'm using in the video - a 5 marker set, your choice of what color family. So check out these blogs today and then check back for an updated list next Friday and the Friday after! If any of you have contracted the tall, skinny virus, please leave me a comment about it. I'm searching for it all the time. It's very elusive! LoL. I need tall and skinny virus! I wish, ha, ha, I love the colours of your card. One can always use a get well card. I love how the Misti works. LOVE your tip about making the wood stamps Misti-friendly! And thanks for the demo on how those pens actually work. The " tall skinny virus" sure puts a different image in your mind then " the chicken pox " virus Sometimes there is just so little justice in this world. Great card & giveaways. Thank you so much for sharing your time & talent. I felt the same sadness about my wood-mounted stamps, so I just started peeling them off the wood blocks, using them in my MISTI, then slapping them back on the blocks for storage. I'm too lazy to do the whole permanent unmount thing. My wood-mounted stamps are perfectly happy where they are for now. Yeah, I need the skinny virus too! Great card! Haha! Yea I'd like a virus like the tall skinny virus too! Well, I know one virus you must have caught, the 'totally awesome' virus! This card is proof you are infected!! I'd especially like the skinny part. Cute card. Love your card and your viral idea... one would think that if they can create a human being in a Petrie dish they could create a whole bunch of viral options! I'll take a tall"er" virus and maybe a turn the clock back virus lol! Thanks for the video and tips on using the pens, I think I need some! Skinny is a virus I haven't, nor will I ever, catch. Too bad, it's one I'd like the have, chronically. Send that virus thus way! Great card, Lydia! Dang! I wish I could catch a tall and skinny virus! Maybe a good health virus too! Or a rich virus! LOL! Love your card and hope we can find the good viruses that we all want to catch!! How tall is "tall"? I got the skinny virus but not the tall part, oh well...half is good enough. Love the cling link! Thanks, been looking for just the right one. Now I need the MISTI, too. Ha! Ha! I would love to contact the reduce abdominal girth virus. Such incredible depth on your cup. Thanks for the tips. BTW, love the colors of the cup on your card. And what if this virus were like the chicken pox of yesteryear? Our mothers would've thrown us together for a tall and skinny virus party ;) I love your CAS card and the more I see those markers in action, the more I wish I had some! Ohh what pretty coloring. I must try these markers. I love my MISTIs. I just need the mini to complete my obsession... I mean collection. I must have had a vaccine to prevent the tall, skinny virus, he he. Pretty card, live the vibrant color of the markers. I want to get a skinny virus! Lydia, you crack me up and considering laughter is the best medicine, thank you. Mwah. I love the color you achieved with the Chameleons. Love your card! Awesome colors! I get sick pretty easily... maybe I can catch the tall, skinny virus! So far, I am immune! That's totally the kind of virus a five-footer like me NEEDS!!! And that soup card is a perfect pick-me-up! Great color choice! I duuno about the tall and skinny virus, but I think I caught the giggle virus from this post! : ) Sweet card! Forever looking for that virus! Those pens are awesome! Always love your posts.....your openings are so well thought out. How your mind works always amazes me....LOL. Love it! I contracted the "short/squatty" virus! Love your cards and your tips. Thanks for sharing. Love this pineapple card Lydia! You are always so informative! BTW for an awesome podcast about how humans are half virus, check out Radiolab podcast on NPR. You are too funny. There are good bacteria, maybe we just don't know about good viruses yet. Sign me up for the tall and skinny too? Oh this is a great get well card! I would love a skinny virus to strike me! Your video was so informative. Thanks for sharing your fun and creativity with your lovely card! I would stand in line for the Tall, Skinny virus also. I love the vibrant colours of the Chameleon pens. Beautiful card and video and the real treat is to possibly WIN the phenomenal Misti tool!! Lydia thanks for the great video and your beautiful card. I also appreciated the tips on mounting your wood mount stamp with the cling vinyl. I loved your question about the virus.....can't imagine a giggling virus, what fun! I'm going to have to check out the Chameleon pens! I really love my MISTI! Oooo I love the floral set! I love my chameleons and My MISTI. The shading on the bowl is wonderful. after they eat their soup. Beautifully colored CAS card. Love that MISTI, but unfamiliar with the Chameleons. May have to check it hose out. I need tall and skinny, haha. Great card. I just love your humor!! Great soup bowl. Love the colors you chose. Lydia this card is so sweet. Thanks for showing us how the pens actually work. Great Job. These are awesome! Great work! WOW! I need to try these pens. Thanks for the video! These pens are fantastic! Great card! These pens look awesome. Cute card, thanks for sharing! These pens look great - love your pretty card !! Great card. Sadly no skinny virus here. Thanks for sharing. The skinny virus has been very scarce around here. Sure wish it would visit for 20 pounds or so!! Love your card! The pens look soooo interesting...great card! Thanks so much for sharing your great tips and video! What a great hop! Awesome pens and I need a MISTI to keep myself on the straight and narrow! 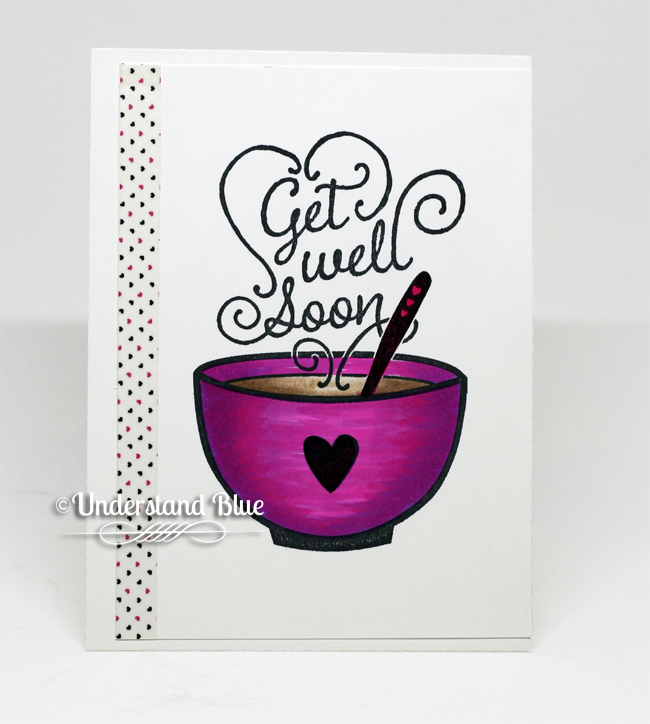 Wonderful get well card and thanks for the tip on ummounting wood stamps to use with the Misti. I need to catch that virus! I loved those circles. Please share how they were made. I love those circles please share how they were done. Think I have the virus if 5'5" counts as tall! Love the color! love your coloring on your card, ver pretty! Thanks for another great post. 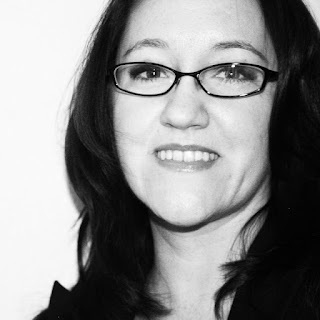 I've been following your blog and have gotten many great tips from you. Great card and good tips for using the Misti. I like your "coloring" of the stamp and look forward to having a chance of winning both the Chameleon pens and the Misti. Thank you for the lovely Get Well card. Love the card. I want the mini MISTI! Thanks for sharing. I would love to make this card. Thank you for sharing! I loved the cute card and the pen is nifty.thank you for the tutorial and I saw the video about the misty trick.i will be using it if I win a misty! Love the card! Thanks for the tips! Love your card! I'd love to try the MISTI and the Chameleon Pens. Love your card! I would also love to try a MISTA and the Chameleon pens. LOL! I love your posts! I need to catch that virus, for sure. Thanks so much for the video. No luck here. I have contracted the short, chubby virus though, if you are interested. Love the card. Thanks so much for telling us how to convert the wood stamps. That is definitely on my must do list. CUTE card! Thanks for the video & the chance to win! Enjoyed watching you color your beautiful card. I think I'll be trying the Chameleon pens. The tall, skinny virus is actually two separate ones....the tall one infects you for life. But I seem to have "recovered" from the skinny one after I had babies! Ha. I just need a flat stomach virus. Love the colors you used on your card. Every time you leave a comment, a new LOLcat is born. ALSO - don't panic if you don't see your comment right away - I moderate my comments to keep those spammers out, so your comment will show up in short order. Unless you're linking me to Russian brides or Nigerian princes. Hi. I'm Lydia. 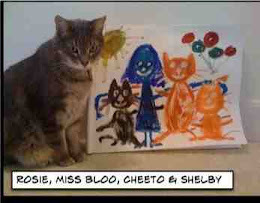 I'm the Community Manager at Splitcoast by day, an artist, a teacher and an animal lover in every other moment. I participate in affiliate programs at Blick Art Materials and others, and may receive small compensation when you purchase using my links, at no additional cost to you. Any products provided to me for free by a manufacturer are designated with an * or specifically stated in each post. I do not do paid or sponsored blog posts. I blog only what I love the most and personally use. All of my projects are posted for your instruction & enjoyment. You may recreate these projects to your heart's content and I'll be flattered. I'd love it if you give me credit. It would be cool if you didn't submit them for publication though or sell them and make a million dollars, because that's bad karma. Unless you split it with me. My photos and my words belong completely to me and can't be reused or republished, so you gotta make your own. That means you have an excuse to buy glitter. I participate in affiliate programs at Blick Art Materials, Arkon and others, which means I may receive a small fee when you purchase using my links at no additional cost to you. I appreciate your contribution towards the cost of running this blog. Thanks for respecting art & and for visiting me. It's an honor. I participate in the Amazon affiliate program, personally, and as a team member at Splitcoast. If I use an Amazon affiliate link, either I or the volunteer moderators at Splitcoast get a small % - which doesn't change your price at Amazon. At Splitcoast we buy Christmas presents for our volunteers each year with these proceeds. :) Have you hugged a moderator today?